Is it safe to ride motorbike in Vietnam? It is true that traffic in Vietnam can be chaotic at times, but if you follow some basic rules and common sense, you’ll be fine. The best way to ensure your safety is to travel with a motorbike guide (you may be an experienced rider or not) and to follow their instructions. Wear all recommended safety gear and do not speed. When traveling on wet or slippery roads, slow down. Use the horn to notify other drivers of your presence – it’s not rude to ride during Motorbike Tours in Vietnam, it is expected. How do I make a reservation for my Motorcycle Tours Vietnam / how do I pay for my Motorbike Tours In Vietnam? To reserve your Vietnam MotorcycleTours, we request an advance deposit of 20% of the total amount. The remaining balance can be paid in cash (USD, EURO, VND) at the beginning of the tour. Do I need a driving license to drive a motorbike in Vietnam ? If you travel with a guide, this is not necessary. Is an international license valid in Vietnam? International Driving License is only valid as you live in one of the countries abide by the 1968 Conventionon Road Traffic on IDPs. How long do we drive per day ? We aim to ride approximately 4-5 hours/day. However, this will vary depending on your Vietnam Easy Rider Tour program. We typically stop often during the day for photos, drinks, or short visits in the villages along our route. Where do the Vietnam Easy Rider Tours start from? 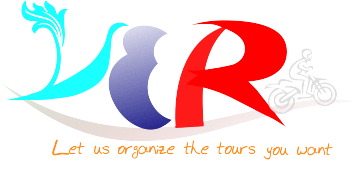 All Easy Rider Tours Vietnam will be very flexible about the starting point and most of them are one way Tours. I am traveling alone. Is it possible to join up with a tour group? Yes, depending on the number of people and bookings we have, then put you in a group. I would like to travel “solo” without a tour group. Can you arrange this for me? Yes. Most of our Easyrider Tours are private tours with Experienc English speaking guide ! I have more questions and don’t find the answers here.